Yousafzai has said she wants to pursue a career in politics in her native country, Pakistan. Image Credit: Flickr. Global education champion, Malala Yousafzai stipulated this week that she is not a “puppet of the West” and was indeed, a proud Pakistani girl. It needs no introduction that Yousafzai became an international icon for the struggle millions of girls face around the world to access education after she herself was shot in the head by the Taliban. One could say that the South-Asian reaction to Malala has more to do with our love of conspiracy theories, and our history than resentment towards what this young girl has come to represent. While the rest of the world views Yousafzai as a champion, Pakistanis for the most part suspect Yousafzai of being a CIA agent out to humiliate their country. 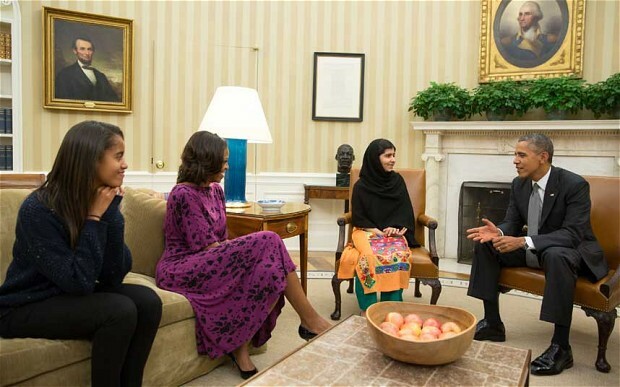 Malala meets the Obamas at the White House in Washington, DC on a recent US tour to promote her book. Image Credit: Flickr. Personally, I am glad that it was Malala herself that acknowledged her native critics because these days, especially in the West, saying anything bad about this young woman is enough to well, get you shot in the head. But the conversation about what the other half thinks about Yousafzai is needed and warranted, yet difficult to have simply because of the incredible status level this young girl has reached. In many ways in the West, she has become nothing less than an untouchable icon, beyond the point of criticism or cynicism. The latter is what Pakistanis, and much of the rest of the region view her with because well, we kind of have the right to. CIA spies come in all shapes and sizes in Pakistan, always have and still do. That is just a fact, and the American agency does have a history of using its personnel to gather information clandestinely in the country, even having civil society workers operate undercover for them. Does all the accolade being thrown Yousafzai’s way shed Pakistan in a negative light, as a country that shoots young girls who want to go to school? Yes, of course. It definitely does. Are there people in Malala’s violence-stricken village in SWAT who can only dream of being airlifted out of their living hell, and handed the fast-track through British immigration, for themselves and their families? Yes, of course. And does Malala also embody a narrative that makes South Asians confront our colonial past, with the West once again glaring at the East with judging eyes of how backward and uncivilized we apparently are? Yes and yes. 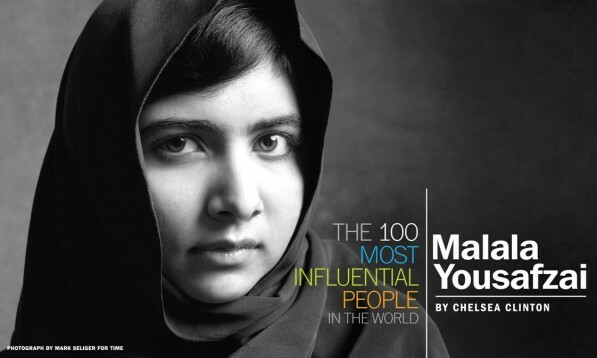 But why such a wide gap in how the world loves Malala? The point that it comes to is a basic cultural difference, and that is why I think the international opinion of Yousafzai is so divided- Americans love a good story almost as much as South Asians love a good conspiracy. The young woman’s power as a symbol is undeniable. 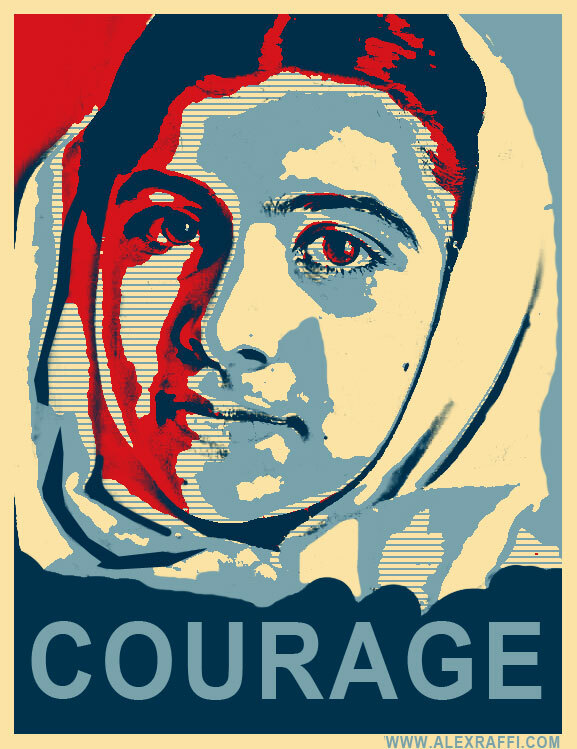 In the past months, though, the Western fawning over Malala has become…more about our own desire to make ourselves feel warm and fuzzy with a celebrity and an easy message. It’s a way of letting ourselves [Americans] off the hook, convincing ourselves that it’s simple matter of good guys vs. bad guys, that we’re on the right side and that everything is okay. I think this passage captures where I stand on the Malala story best. I admire and respect her journey, it’s incredible & so inspiring. It is. But this level of Western applause, this tendency to over-celebrate anybody from the East is only too familiar with, truth be told, makes me uncomfortable. It also makes it clearer than ever that Yousufzai polarizes her global audience. The undeniable however, is that the special characteristic about Malala, love her or hate her, is that you cannot ignore that her story is real. Her plight is real. The Taliban are real, and girls do have to fight, and in some cases even die, to go to school. By surviving an attempted assassination by the Taliban, Malala refused to be a victim, and took the fight for girls’ education global. But romanticizing Mala’s story is not how we resolve what she stands for. If we really want to do her and her cause justice, let us not only invest in idol-worshipping Yousafzai, but in the millions of girls that may remain nameless to us, who would give their life just to go to school. Though they might not be having tea with Queen Elizabeth, or chatting with the Obamas on Pennsylvania Avenue, they also want an education. They are all Malala’s, too. Malala is amazing role model. What an she, and you, say about the Quebec Charter of so-called Values? Anushay, thank you for writing a balanced piece that looks at both parts of the picture. I have had the same opinion since Malala started becoming more widely known, but apparently the middle-ground between positive and weary is the “uncool place to be”. Since her audience is so polarized, people on either side are passionate about their belief either in her or against her and unwilling to listen to anything very contradictory. Another thing I would just like to mention, here in Pakistan we know that Malala’s story is real and we know that this reality of life is present for many girls in the country. But in a country beset with so many problems we have become desensitized to troubles and shootings and lack of education and lack of food, etc. In a country like ours, where we constantly here about shortages, failures, corruption, death – sometimes it is difficult to be too alarmed or too concerned because the desensitization is the main thing that keeps us going. Indeed a balanced post and I will agree with comment above regarding desensitized society. We have so many of our own problems and injustices that it gets hard to see in such fog. I remember when my friend told me about the scene WTC 9/11. I replied “Sanu ki” and to date we are cleaning that mess. So, before making their opinion about Pakistan, people have to imagine being in our shoes. “The undeniable however, is that the special characteristic about Malala, love her or hate her, is that you cannot ignore that her story is real. Her plight is real. The Taliban are real, and girls do have to fight, and in some cases even die, to go to school. By surviving an attempted assassination by the Taliban, Malala refused to be a victim, and took the fight for girls’ education global. An excellent post and I think these two paragraphs of yours describe my position on the matter perfectly. That said, I think there is something else we need to allow for which is Malala the girl – the one who was making a stand long before the West was interested and was shot in the head when she was just a local girl kicking up a fuss. I think she’s paid her dues and, quite honestly, if she was given the life of a celebrity and never knew poverty or suffering again – even at the cost of no longer having a voice – I would be immensely pleased for her because she deserves a rich life now.